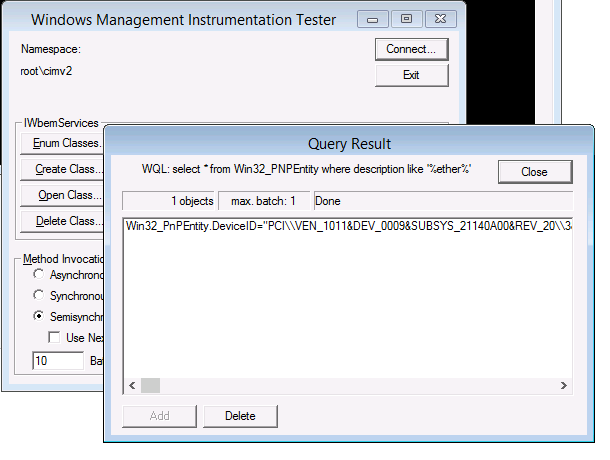 How can I identify a missing network driver in WinPE for use in OSD in SCCM | just another windows noob ? 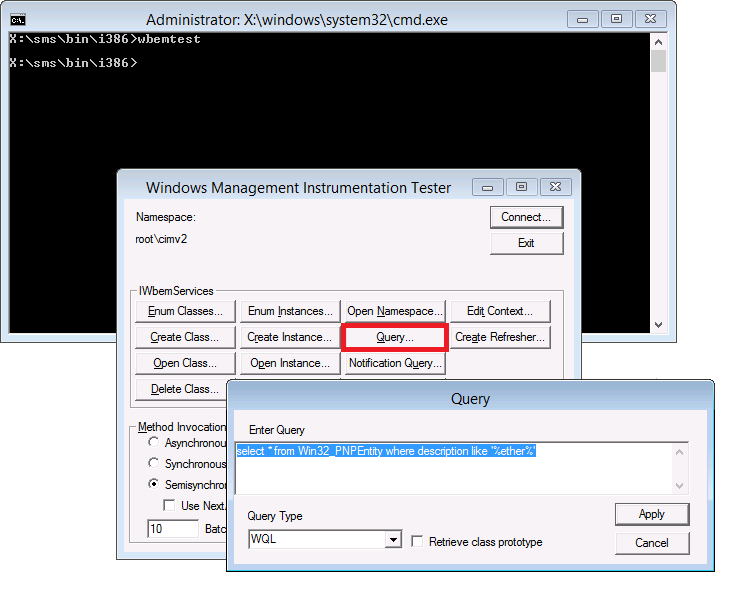 ← How can I determine if the drive is Encrypted (Protected) or not during a BitLocker task sequence in WinPE ? 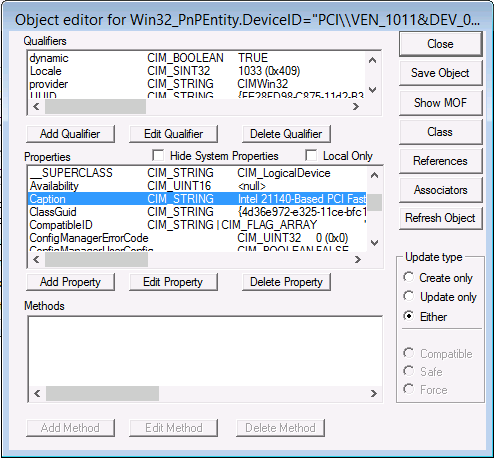 Missing a NIC driver in your WinPE boot image ? no problem, follow this guide to get things working again in SCCM. This much we all know, but wouldnt it be nice to know exactly which driver we need to add to WinPE ? indeed it would as the process to add them usually takes quite some time. Typing Ipconfig will reveal no ip address so you know you’re missing the network drivers, insert a USB key with the drivers you think you need for your new hardware (the tech specs on the Vendors website should reveal what Network card you have). click Add and then download that driver, test it using drvload and provided that it works you can update your boot wim with the driver found above. Or you can double click on the results listed (only one shown in this example) and scroll down through the window until you see Caption. You should see what network card is installed or you can search for the hardware vendor ID using your favorite search engine. do you get a valid ip ? if so you have found the correct driver to add to your WinPE boot images (and you can do that the normal way in Configmgr). What if I want to automate the detection of the NIC ? If you’d like to automate some of the above, check out my blog post here. This entry was posted in wbemtest. Bookmark the permalink. I trying anothers ‘selects” but its hard to find….Tks for the post! Pingback: How can I check for network connectivity before starting a task sequence in System Center 2012 R2 Configuration Manager ? | just another windows noob ? I attempted an install of Windows 7 and Windows 8.1 to an Intel NUC (with a 5th gen Intel processor), and was getting the dreaded NIC driver load failed message. After following half your guide to find the driver in question (who would have thought the console could do so much, even without an OS!) and added it to the WIA_WDS\[OS-Title]\$OEM$\$1\Drivers\NIC folder, and viola! did you enable command support (f8), press that to get a cmd prompt to troubleshoot. It looks like it freezes before WinPE even loads completely, so f8 doesn’t work. what happens after the windows logo appears ? you didn’t show that in your video, does it just reboot ? Finding out more. I have the appropriate nic and storage driver as part of the boot image. If the drive has an operating system (even though its missing correct drivers and doesn’t boot), that’s when this issue appears. Just tested this with a completely untouched nuc. It boots into ts selection. What about having an os (even if it’s bad) would cause the next boot to pxe to hang at the WinPE image? what boot image are you using (version of adk etc), what hardware is this exactly ?